Many companies can do their own engraving in-house using their CNC machines; however, they are usually limited to engraving flat parts due to the inherent limitations associated with CNC technology. Durable Technologies has the advantage of being able to manually engrave hard to reach areas including contoured, concave, and convex parts. 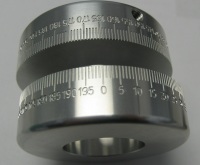 Look no further for your preferred source for all of your custom part marking and mold engraving requirements! 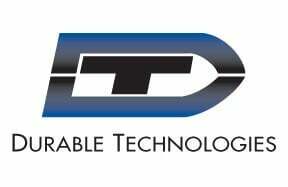 With manufacturing locations on the East coast (Worcester, MA) and Midwest (Franklin Park, IL - less than 20 miles from Chicago), Durable Technologies is your preferred partner for all of your custom part marking and mold engraving requirements. Call us today at 866-344-7721 to speak with one of our specialists. 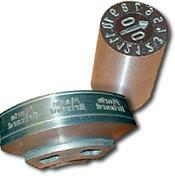 Click on the link to the right for more information on Custom Part Marking. You can also contact us now to speak with someone in Sales. Scroll down for a video example of our custom engraving. 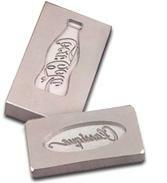 We provide high quality precision custom engraving for molds made of aluminum, stainless steel and tool steels. We can engrave on flat or contoured surfaces. Our engineering department has complete artwork and programming capabilities to meet close tolerance specifications. We can also custom engrave mold manufacturer supplied inserts of any specification including custom engraving on flat or contoured surfaces. 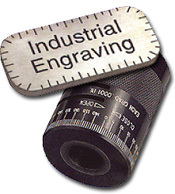 We are the one source for all your marking and industrial engraving needs. We can engrave graduations, fixtures, dials and any other customer supplied parts.